Christmas is the season of trees, candy canes, Advent calendars, and — it turns out — a heck of a lot of misinformation. Chances are pretty good you repeat some of it yourself between swigs of eggnog and mouthfuls of cookies. We're not here to judge you on the alcohol content of your nog, but we are here to clear up some false facts about Christmas and give you some information you can use to correct family, friends, and coworkers alike. They'll love it when you do. 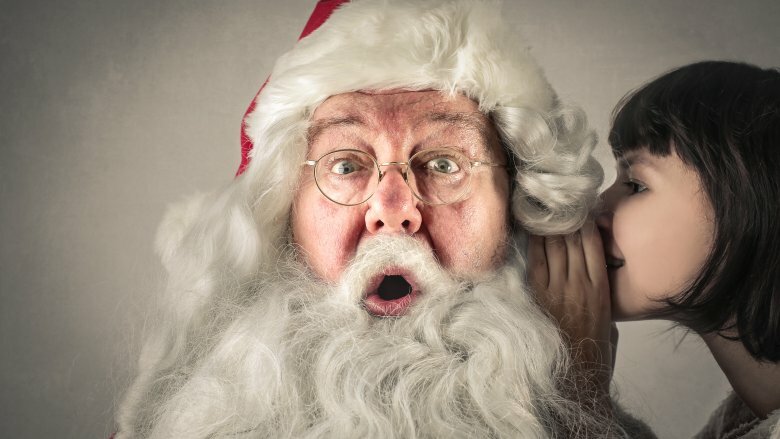 You've heard the claim, saying it was Coca-Cola's advertising team that created the image of the big-bearded, red-suited, jolly old man we know as Santa. That cynically makes Santa just a marketing gimmick, and fortunately, it's not true in the least. Snopes took a look at the claims, and found that while Coca-Cola marketers did indeed jump on the Santa Claus bandwagon in the 1930s and create an iconic ad campaign, they were drawing on earlier images. Snopes found pictures of a sack-toting Santa dating back decades, and in 1927 — a few years before Haddon Sundblom drew his famous Coca-Cola ads — The New York Times ran a piece on the now-standardized Santa that had supplanted other Christmas father figures. Red suit? Check. Jelly belly? Check. Big ol' beard? Check. Sack of toys? Check. 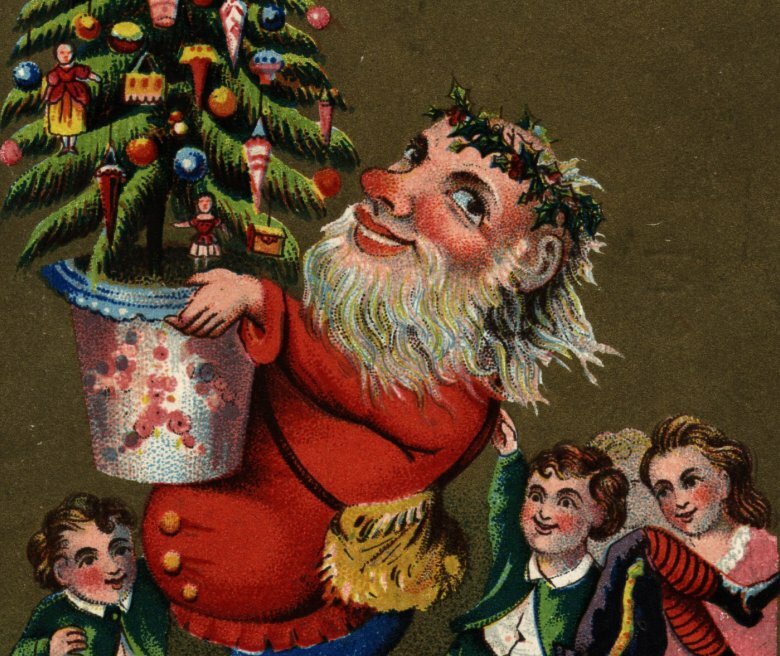 We tend to think they created this modern Santa because they pushed the images and the advertising like crazy, but while they may have helped popularize it, they didn't invent it. 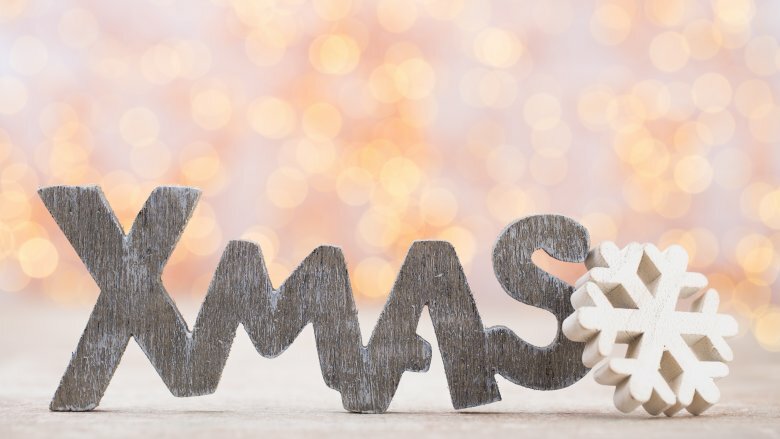 With the Christmas season comes the inevitable debate over whether it's a strictly Christian holiday, so let's debunk the belief that Christmas has always been the quintessential Christian celebration. According to Andrew McGowan, dean and president of the Berkeley Divinity School at Yale (via Biblical Archaeology), there's no evidence early Christians paid the least bit of attention to Christ's birthday. Actually, they may have done exactly the opposite. For centuries, Christians condemned the idea of celebrating a birthday because of similar Roman and pagan practices. In case you're keeping score, those were exactly the sort of observances they were trying to distance themselves from. Easter was much more important, so much so that we have definite dates given in each of the Gospels. The first mention of a birthday doesn't come until the year 200, and it's not until the middle of the next century that anyone says anything about an actual date. 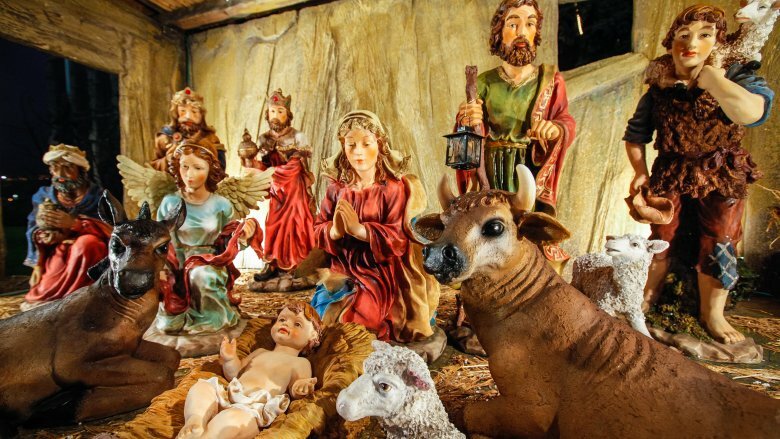 For somewhere around 300 years, Christians weren't celebrating Christmas and weren't recognizing Christ's birth as anything special, so if you miss Christmas Mass, you could always argue you're going old school. Write "Xmas" instead of "Christmas" in front of the wrong person, and you're likely to be lectured on the sheer wrongness of taking "Christ" out of the holiday. Use Xmas without a worry, though, because you're not leaving Christ out of things at all. In Greek — the language the New Testament was written in — the word for Christ begins with an X. That's actually all you need to remember, but Vox traces some neat history as to why we say Xmas. In the fourth century — around the time Christmas was becoming a thing — Constantine the Great created what became the official shorthand for representing Christ by incorporating the X. By 1021, the faithful were calling it "XPmas," which later became Xmas. Shorthand was huge then for the simple reason that parchment paper was expensive. You also see the "X" popping up in the Greek word for the symbol we all know as the Jesus fish, and even Samuel Taylor Coleridge wrote about his Xmas breakfasts. It only became a bad thing recently, largely thanks to the spread of beliefs about the increasing secularization of the world and of Christmas. Whether that's true or not, the X has nothing to do with it. Sorry, this one isn't true, either. You don't have to believe us, but you should believe Andrew McGowan of the Berkeley Divinity School at Yale (via Biblical Archaeology) when he says one of the big red flags that this one just isn't true is that there's no evidence of it before the 12th century. That still sounds like a long time ago, but for almost a thousand years there was no mention of a corrupting of ancient pagan festivals and their shift into a Christian Christmas. McGowan says it's more likely we hit on December 25 by doing some basic math. In 200, Tertullian of Carthage figured out the Biblical date of Christ's crucifixion (the 14th of Nisan) was March 25 in their newfangled Roman calendar. Since Christ was crucified and conceived on the same day, that's also the Feast of the Annunciation. Nine months after that? December 25. It's that connection that's mentioned in early church writings, and McGowan also notes that at the time Christmas began to be observed, the church was deliberately distancing itself from pagan worship. It wasn't until the fourth to seventh centuries that church leaders started pushing the idea of turning pagan festivals into feast days, and Christmas was already in full swing by then. Every year, you hear the warnings about at-risk people being more likely to commit suicide during the Christmas season. Not only is this not true, but it's a bit of misinformation that's potentially dangerous. 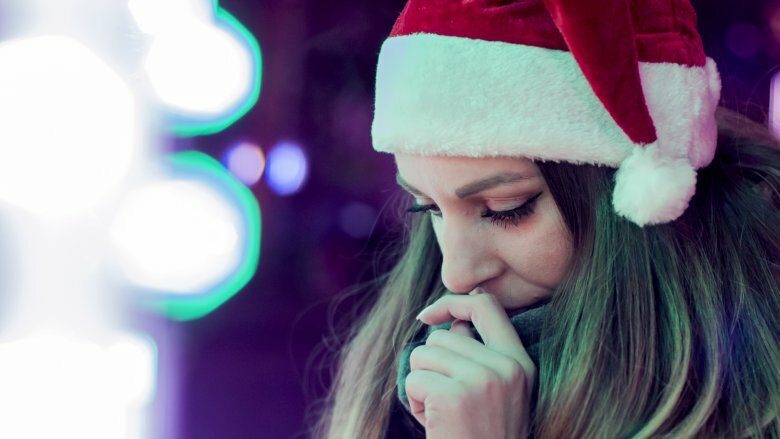 Dr. Christine Moutier of the American Foundation for Suicide Prevention says (via NPR) that holiday stress is nowhere on the list of triggers when it comes to suicide. It's not even a major stressor, and the oft-repeated myth that it is casts a shadow over the real causes of suicide. She says that includes things like a history of abuse or trauma and mental illness, but what's definitely not on the list are things like added pressure to buy the perfect gift or schedules disrupted by Christmas parties. In fact, the CDC says suicide numbers are traditionally lowest in December and tend to peak in the spring and autumn. Hiding a pickle ornament on your Christmas tree to bring the lucky finder a year of good luck and a special present is marketed as a long-standing German tradition, but when The New York Times did some digging, they found it's not only far from ancient, it's American. 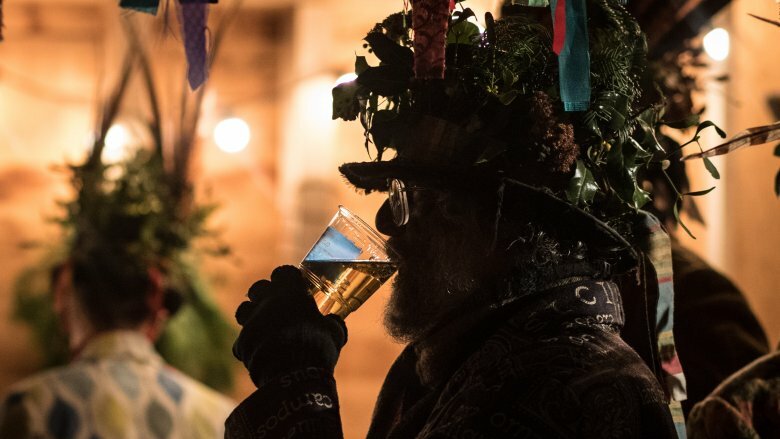 Suspicions started with a 2016 poll in Germany and the discovery that 91 percent of actual Germans had never heard of this supposedly well-loved tradition. Hmm. It turned out the biggest German manufacturer of glass pickle ornaments (called "Weihnachtsgurke") only heard about the "German" tradition in the 1990s, when he was in Michigan. Not one to miss out on an opportunity, he went home to the Lauscha glass center, started making pickle ornaments, and started selling them — both to Americans who thought they were practicing an old German tradition and to Germans who thought the whole thing was hilarious. No one likes the chaos, pushing, shoving, and occasional bloodshed of Black Friday, but comparing it to the slave trade is going just a bit far. 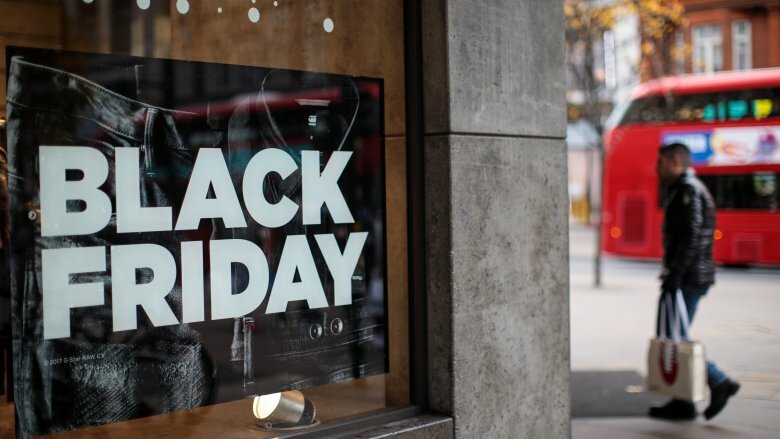 America's least favorite (and, somehow, most popular) shopping day recently spread to Europe, and according to The Telegraph, one of the most enduring stories about why it's called Black Friday is that it was once half-price day at 18th-century slave markets. The term came from Philadelphia police, and it only dates back to the 1960s. They coined it to refer to the post-Thanksgiving madness that came when people were forced to go back to work on a Friday sandwiched between a day of feasting and football and a weekend. It stuck, and even attempts to re-brand it Big Friday failed miserably — possibly because you really can liken shopping on the day after Thanksgiving to coming down with a deadly illness. You don't even have to be Christian to be familiar with the Christmas nativity. They're all gathered in a stable, complete with animals, because that's what the Bible says, right? Not according to one group of Christians, the United Church of God, who went back to the ancient Greek version of Luke 2:7, to find the word we typically translate as an "inn" — as in, there's no room at the inn — is actually the word "kataluma." It's more accurately translated to mean something like a guest room, instead of the ancient Best Western you might think of. Luke even writes of a more traditional inn elsewhere using the word "pandokheion." Words matter! So, what does this mean for our traditional Christmas image? UCG says what Luke is probably saying is that there wasn't any room for Mary and Joseph in a guest room, so they were sent to the "stable." That probably wasn't our traditional outdoor building filled with animals, though. In ancient Bethlehem, animals were usually kept on the ground floor of a home. At a time when hospitality was key, it's more likely the travelers were sheltered in the lower floor of a regular old house. Sure, they were alongside animals, but so was everyone else. That's just how homes were set up then. Now that you know, you can cut those poor Bethlehem citizens a break because they didn't throw a pregnant woman out into the winter night after all. Do you yearn for the good old days when the real meaning of Christmas was important, instead of the presents? When was that, anyway? Never — Skeptoid says it's always been about the loot and the lavish spending. 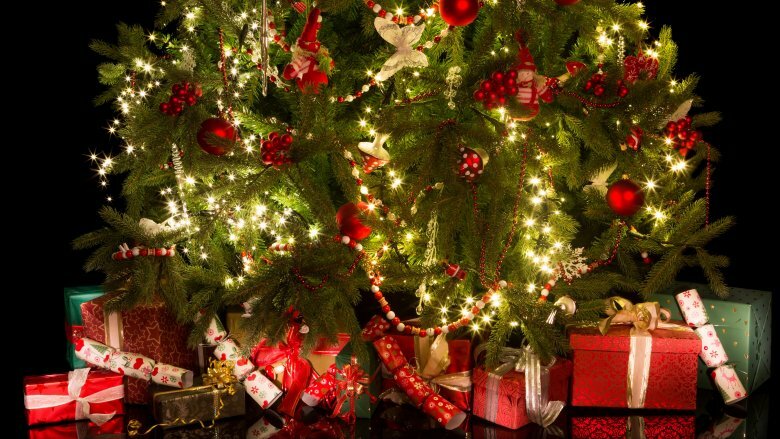 Pining for Christmases past isn't a modern phenomenon. Miracle on 34th Street laments the 1940s commercialization of Christmas, Victorian-era writers mourned the rising costs of Christmas, and even Harriet Beecher Stowe wrote about the stress of finding presents for everyone in the family … in 1850. The giving of Christmas presents really started with the Victorians, but before that, Christmas was still a lavish affair geared toward the wealthy. For hundreds of years before the 1800s, the wealthy threw massive Christmas parties and spent the GDP of a small nation on food and drink, and the everyman was left to peek in the windows and wish for better, purer times. It's a simple fact that it was always commercial, that the good, old-fashioned Christmases never existed. But does that make you feel better? Not really. Every year, there's a renewed debate over just how far the separation of church and state is intruding into Christmas celebrations. Snopes took a look at some of the claims made amid what's been dubbed the "War on Christmas," and they confirmed there's really no such thing. We could publish a full book debunking all the rumors, but let's just tackle a few here. 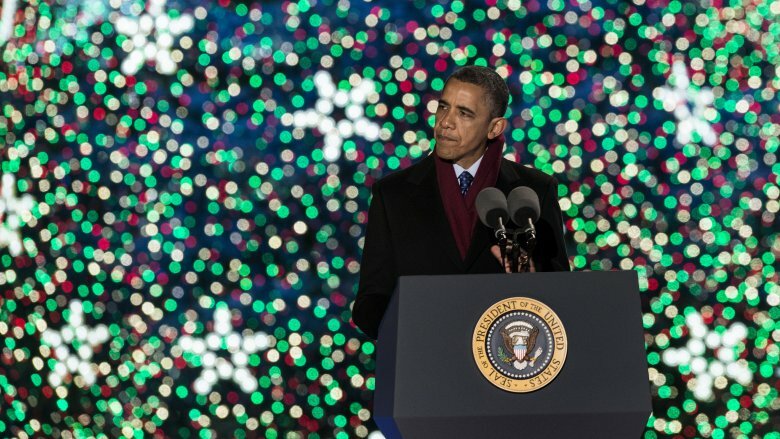 No, the White House did not announce that its 2009, 2011, and/or 2013 Christmas trees would be called "holiday trees." No, Obama was not behind FCC-sanctioned fines levied against networks airing A Charlie Brown Christmas. We know, because there were no fines. 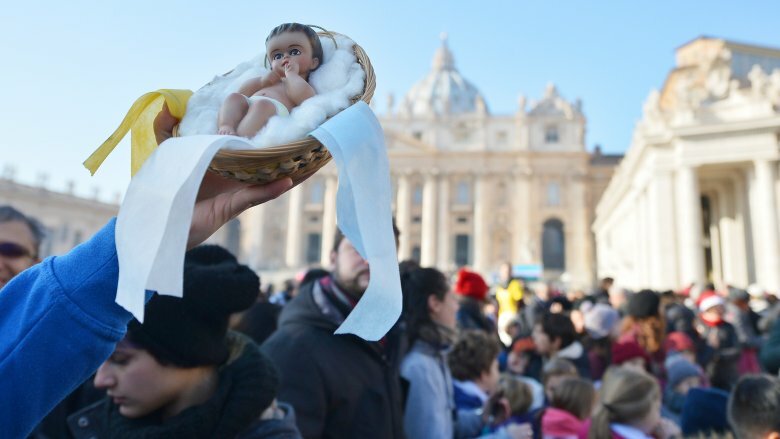 And no, the White House didn't ban Nativity scenes in 2016, either. 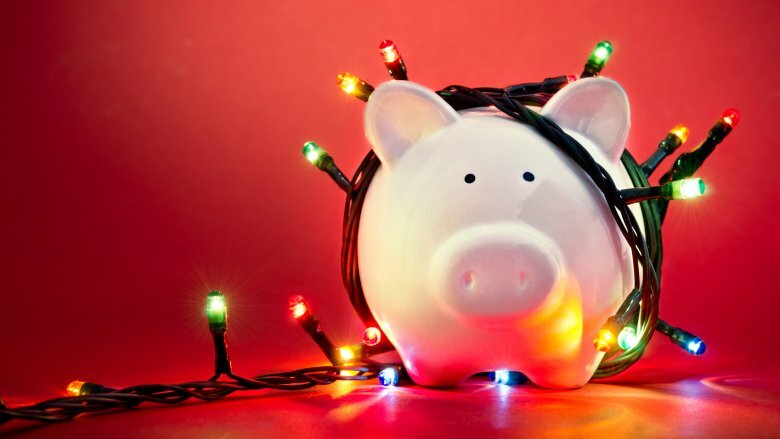 There is one thing that we'll sort of give you, and that's the 15-cent price hike the U.S. Department of Agriculture proposed for Christmas trees in 2011. It wasn't technically a "tax," though; it was an industry-approved fee that was ultimately revoked after some serious hate. You don't have to love Christmas to love candy canes, and it's an old story that the red and white of candy canes represent the blood and purity of Christ. The "J" shape seems to cement this one as pure fact, but Gizmodo says it's anything but. There's no evidence to suggest candy canes are J-shaped for Jesus, and there's not even anything to back up the idea they were supposed to represent a shepherd's crook, either. 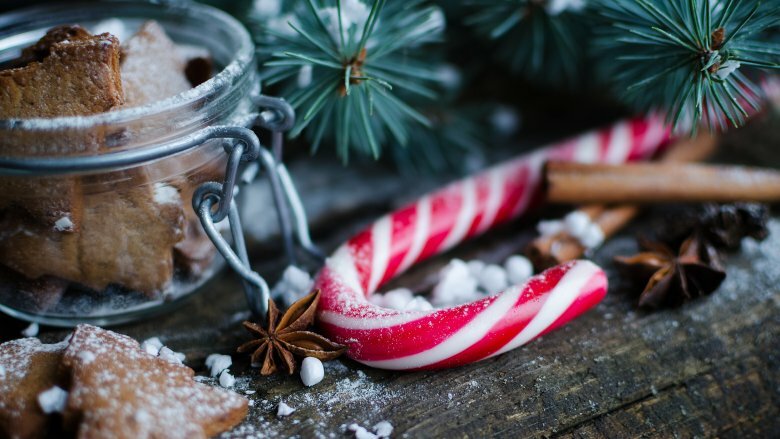 What we don't know is exactly what the origin story of the candy cane is, but it's entirely possible it looks that way just because it's pretty. Candy canes got their distinctive hook about the same time they started to be used to decorate trees, and it doesn't take a rocket scientist to realize that hooks made hanging them much easier. They were just plain white until the beginning of the early 20th century (with the odd mention of more colorful ones), and it's just as possible the red stripe was added because it was pretty. There is, strangely, a Catholic priest who made a major contribution to the candy cane: Father Gregory Keller. He was the brother-in-law of confectioner Bob McCormack and he helped invent the machine that's used to bend the candy canes, but he didn't invent the bend itself. That's okay, though. It's totally acceptable that some things just exist to be pretty. 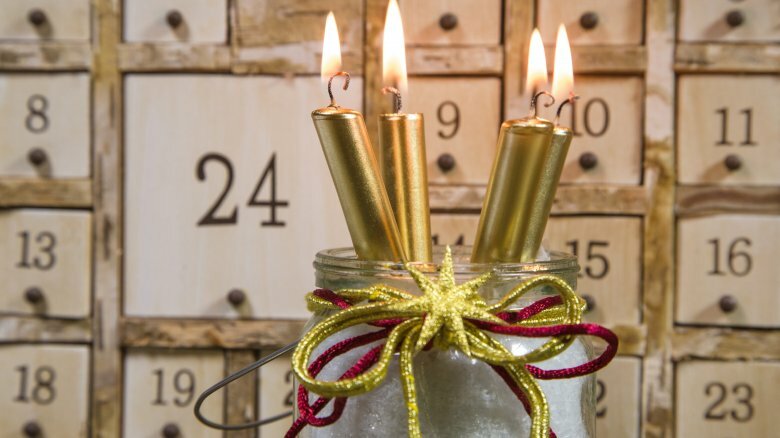 Advent calendars are exciting, and we're not even talking about those insanely unnecessary luxury Advent calendars that sell for hundreds of dollars. Originally, they opened to reveal nothing more than a simple chocolate, even before Cadbury popularized them in the 1970s (via The Guardian), and there's nothing wrong with that. Those calendars are the reason you probably think Advent starts on December 1, though. Keeping track of dates is the entire point of calendars, after all, but these are usually wrong. Advent actually starts on the Sunday closest to November 30, which is the feast day of St. Andrew the Apostle. It covers four Sundays, and thankfully, ThoughtCo did the legwork to figure out it can actually start anywhere between November 27 and December 3. Some have an entirely different Advent. For Orthodox Christians, it actually starts on November 15 (via the Antiochian Orthodox Christian Archdiocese of North America). While it's undoubtedly easier for Advent calendar manufacturers to be able to print a single version of the calendar that always just starts on December 1, we're pretty sure it'd be easier to have it just always start on November 15. Especially if it means a chocolate for every one of those days until Christmas.